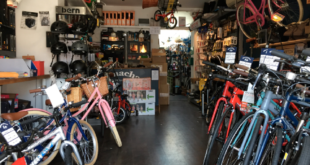 Moore Large is perhaps the busiest its ever been in over 35 years of business with Formes sell-out launch, BMX blowing up again and Todays Cyclist having just gone live to support and update retail customers. It was incorporated in 1974 by John Moore, our current chairman. John was the second generation of his family in the bicycle business – his father having opened the first shop in 1949. Moore Large became the first national wholesaler and the first importer selling direct to retail. At the time, wholesalers to the trade were regional and bought from importers. John identified these two factors as restrictive in both the range offered to retailers and the margins available. We were appointed UK distributor for Kenda Tyres and Tubes in 1976, a relationship that remains strong to his day; we also had a sales force spanning the whole of the UK. For many years, the main focus of the business was parts and accessories until 1987 when a major expansion plan found success with bicycles. Moore Large is also in the motorised two wheel industry as exclusive distributor for SYM, Taiwan’s premium scooter brand. In our early history we were regional distributors for Puch mopeds and cycles, so in a way this was back to our roots. The current association was established in 1998. Tell us about the creation of Today’s Cyclist. What purpose does it serve? The Today’s Cyclist brand was launched last winter in the form of a consumer catalogue alongside the Today’s Cyclist website. Consumers using the site currently have the ability to search for their nearest stockist, but very soon will be able to benefit from a number of site enhancements. Of course both our bicycle and accessory branded products will be featured, showing images, selling features, listing the current RRPs as well as having all the latest news and reviews, however our main objective is to offer our site users a point of difference. Registered members will therefore be able to build their own unique profile, upload images of their latest kit and communicate directly with a community of people that share their interest in all things bike. We will have a members’ forum with the latest topical conversations where users can keep track of all our sponsored riders, plus they’ll be able to write their own reviews on any of the products featured on the site based on their own personal experience. Dealers will also be invited to contribute with links to and from their own websites and they can upload images of the shop and offer a summary of the services available in store. We identified that social networking is something that plays a key part in people’s lives, so incorporating it into our site will hopefully appeal to a wider audience and give them another reason to return to the site. What has the dealer’s reaction been to the B2B site? We have had a positive reaction to the B2B site and dealers have commented on how easy it is to use and how useful the functions are. Dealers can check stock availability, view and order, be the first to view new products and can save time by using the search function and Quick Order facility. Product reviews and features can be viewed and downloaded and the latest news from Moore Large can be read. Orders can be placed at any time of the day, any day of the week and there are also exclusive offers for users. Forme is entirely of Moore Large’s creation – why was this brand developed? Forme is an in-house brand developed by Basso brand manager Adam Biggs. We identified an increase in cycling due to social concerns such as health and fitness and the environment. Research suggested that this trend was set to continue, so with the value of this segment of the market increasing we thought it would be a good time to respond with a suitable product line for this segment of the market. Although the market is already fairly saturated with budget road bikes, Biggs felt that with an eye for aesthetics, competitive pricing, componentry and Moore Large’s existing strengths as a distributor, he could create a brand that could become a market leader. How has initial demand been for Forme products? The first range of Forme bikes has been a phenomenal success that has far exceeded our initial forecast. 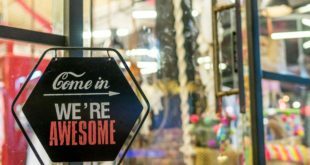 The most positive point is that Forme has instantly sold through to the end consumer which, regardless of sales into the dealer, is the be all and end all of a successful product. At present, the majority of the range sits under the Cycle to Work scheme’s limit – is this intentional? Yes. The biggest growth in the market over the past couple of years has been at this price point and we didn’t have a suitable product for the Cycle to Work scheme within our portfolio at this price band, therefore it makes sense to distribute or create a new brand to fill the gap. We felt we had the expertise to create a successful product and wanted entire control of the brand. It’s also great to have a British brand to push. What stockist opportunities are available for your various complete bike lines? From August, all 2011 bike lines will be launched with a series of events as part of road show which coincides with the real launch of Forme, where the range will be expanded to a complete range of MTB, hybrid, urban and road models ranging from £300 to £1500. During the road show a series of packages will be offered for all of the bike brands we carry to promote a stock plan across the ranges. Not only will we be offering attractive propositions on terms, but also POS packages and marketing support. For dealers to travel to any show there needs to be an incentive which they will most certainly have. Can you pick out any high or low points of the past year? A high point was undoubtedly our successful dealer seminar in March. In a few short days we saw the culmination of many months of work on our brand development programme and enjoyed a magnificent reaction from our customers. The work commitment and enthusiasm from all our brand managers has been fantastic this year, which when coupled with the efforts of our marketing and sales staff illustrates clearly how we continue to enjoy success in this most competitive of industries. It is difficult not to highlight one brand and one brand manager in particular. Adam Biggs – with virtually no experience in this field – has created from scratch the Forme range. He developed his own range plan, designed the geometries and specifications, sourced out competitive prices from one of the top factories from Taiwan and has been instrumental in sales and marketing. The promise of the expansion of this range in late summer is something to really look forward to. How can a dealer open an account with Moore Large? Is there criteria to be met? We get regular enquires about new accounts – it’s amazing how many we get. Contact is made through the sales office and details are passed to the area manager who will assess the dealer’s potential and commitment level in a field visit, before making a decision to appoint. Is Moore Large involved with any event sponsorship? We will be travelling to events with one of our brands nearly every weekend over the season. This year Kenda and Blackjack are sponsors of the British Downhill Series, and Kenda also sponsors Mountain Mayhem and Sleepless in the Saddle. Onza sponsors the British National Trials Series and Haro sponsors the BMX National Series. We also attend the Mountain Bike and Downhill world cups, Bike Radar and the Cycle Show – so we have a pretty busy schedule. On top of all his, we often end up sponsoring some of the more unique events with Knog, such as the European Hardcourt Bike Polo Championships or Rollapaluza events. We like to attend as many events as possible – being a distributor and only having day-to-day contact with dealers it’s great to have the chance to interact with the end consumer directly. Moore Large is big on BMX through stock and sponsorship – what aspirations do you have for Haro and Premium Products in the UK? Haro is recognised as the market leader in BMX, thanks to many years of investment and promotion. The brand supports products for all ages of riders at all levels and price points. Last year we increased sales by 30 per cent, and we anticipate this dominance to grow. The complete bikes from Premium have been well received this year, so its 2011 range will see more focus on the bikes, while still covering a fully comprehensive range of BMX parts and accessories. In preparation for this we have increased the marketing activity around the brand and have started supporting riders this year, too. Are you still seeking Oyama stockists? If so, which areas of the country are available? Yes we are. The initial reaction to Oyama was positive following the dealer launch this year, but we are still looking for stockists in some areas of the UK. We encourage anyone that is interested in the brand to contact their area manager or the sales office to see what options are available.